Without a doubt Nike’s most well known running system is the Nike Air Max, with the majority of people not only owning a pair but actually understanding how the technology works. While Air Max has certainly created an impact and become a house hold name at this point, the Swoosh have a number of other running systems that may not be as well known to the mainstream. 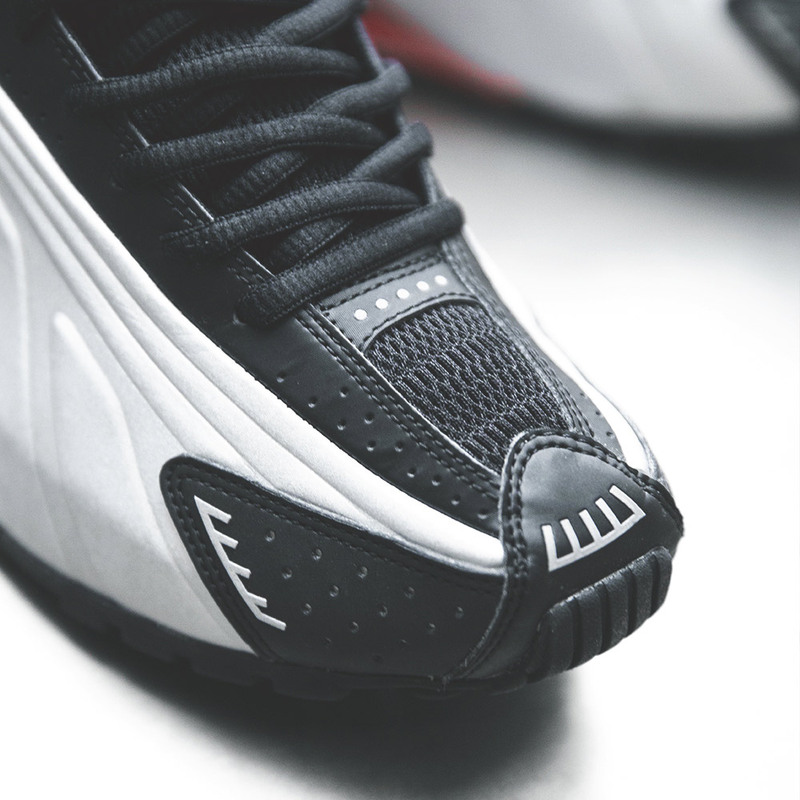 One of the most intriguing being Nike Shox. 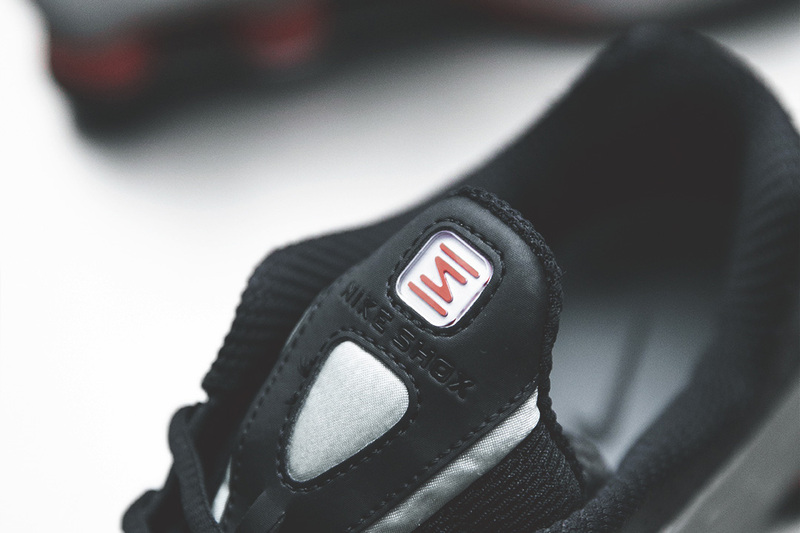 Shox technology was developed in 1984, three years before the Air Max 1, by Nike designer Bruce Kilgore, who is perhaps most famous for being the man behind the Air Force 1. The technology was first conceived when Nike designers were observing runners on a polyurethane track at Harvard University, and saw how the track would sink in and provided energy return to the runners while simultaneously not hindering their performance. 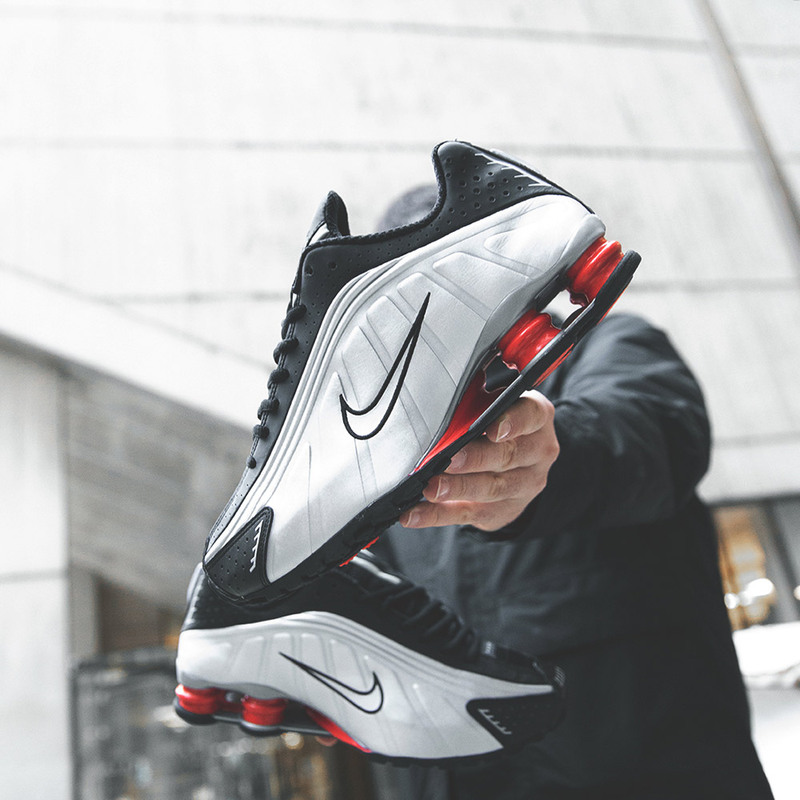 This lead Nike to try and replicate this process, and after a number of trials and errors, eventually they landed on Nike Shox technology, which featured four visible polyurethane pillars in the heel of the shoe. 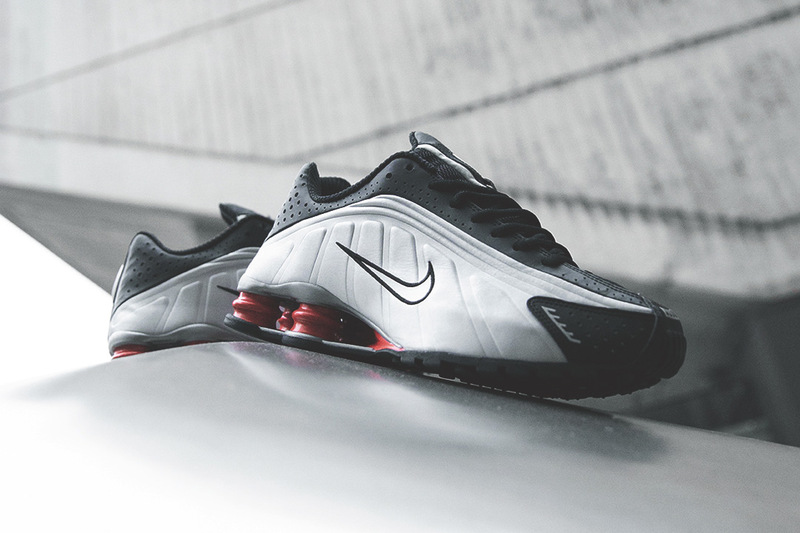 It wasn’t until 2000 however that the Shox hit the shelves, however the hype took off quickly. 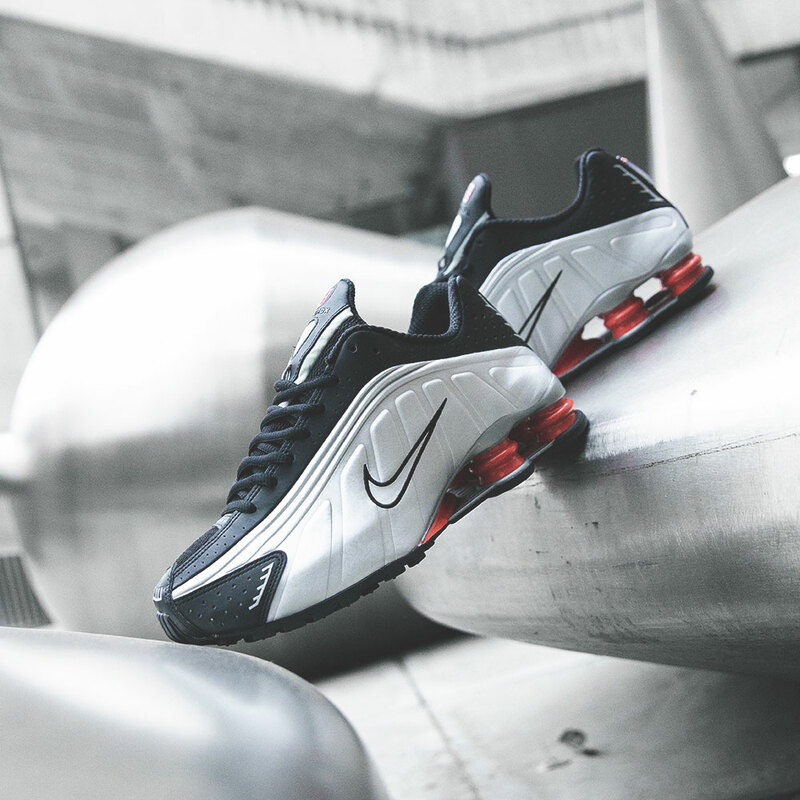 Although Nike Shox technology was designed for runners it quickly found a place in the basketball industry, and was made particularly famous by Vince Carter who performed an inhuman slam dunk at the 2000 Olympic Games while wearing a pair of Nike Shox BB4’s. 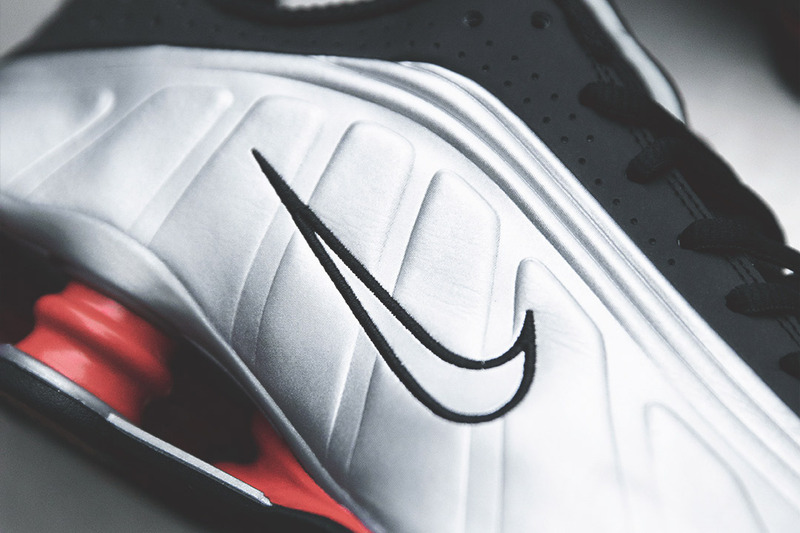 The extraordinary feat of athleticism was more effective than any marketing campaign, and quickly solidified the Nike Shox BB4 as the shoe to have for aspiring athletes and sneakerheads alike, and lead to a great deal of interest in the line. 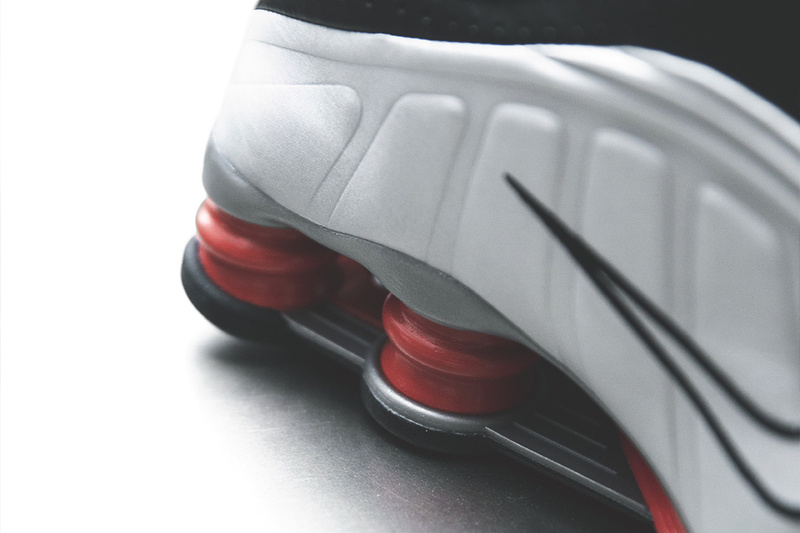 Whereas the BB4 was more of performance shoe, the Nike Shox R4 was quickly embraced as a lifestyle shoe due to it’s sleek futuristic design and comfort of the Shox technology. Throughout the 2000’s Shox had a number of different iterations and colour-ways (including a luxe thigh-high iteration designed for Serena Williams), however was eventually put to one side by the Swoosh in-favour of other shoes. It wasn’t until Comme des Garcon revealed their luxury take on the silhouette at their SS19 Paris Fashion Week show, that the shoe was introduced to a more contemporary audience. After the initial buzz of the PFW show, Nike revealed they would be bringing back the Shox line, starting with a twist on the very first R4 model. 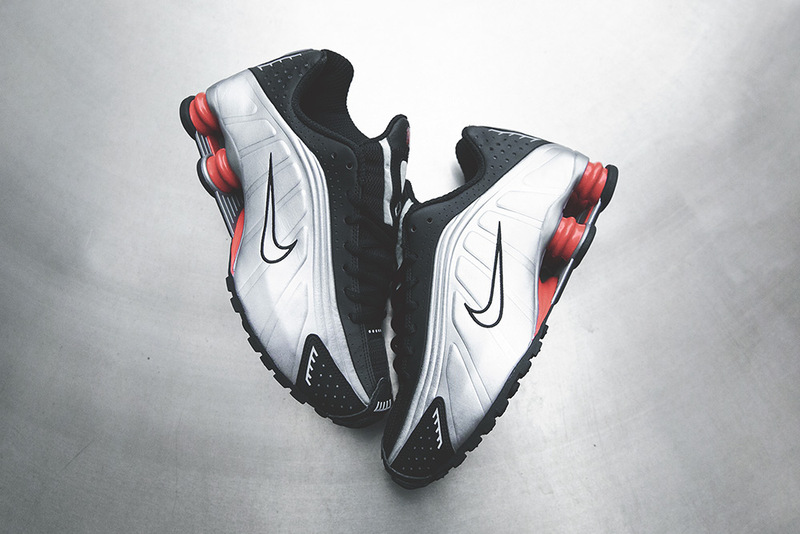 The Nike Shox R4 Silver/Red is Now Available. Sizes range from UK6 – UK12 (including half sizes), priced at £115.